Philipp is half German, half Greek and was born in 1980 close to Munich. 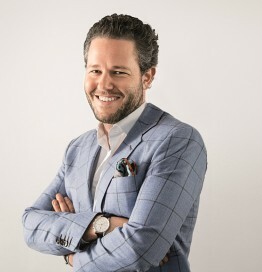 After receiving a Diploma in International Business Administration from Munich Business School in 2005, he moved to Greece and co-founded Travelplanet24 with Kristof Keim. Currently he is acting CEO of Tripsta, one of the largest OTA’s and most recognized leaders in the industry. Tripsta, airtickets®, and travelplanet24 are preferred by more than a million loyal travelers throughout the 45 global markets that presently operate in. Travelplanet24 was founded in 2005 when Philipp Brinkmann and Kristof Keim saw a gap in the niche Greek market for online travel. Since its launch, Travelplanet24’s powerful online platform, commitment to pioneering technology and tailored customer support has spread across over 45 countries. The company grew from a startup into a growth business and was renamed to Tripsta. In 2015 Tripsta acquired “airtickets®“, a leading competitor in south-east Europe and became a global success. Tripsta, with a global turnover of around 450 million and offices in Athens, Bucharest and Istanbul, is the largest OTA in South Eastern Europe and amongst Europe’s top 5. He loves his work; he is a tech enthusiast, an optimization junkie and a good old wine lover.